At CES this year, Huawei held a press conference, announcing that Amazon’s digital assistant, Alexa, would come to the Mate 9 via an OTA update. Today, that update is rolling out to all Mate 9 owners in the US. With Alexa on the Mate 9, users can essentially perform most of the same commands that you see on the Echo. For example, you can control certain home automation functions, plays games, add things to your Amazon shopping list, as well as receive rundowns of the news. Once the update is applied, you will see an Alexa application installed on the device. To use Alexa, open that app, press the mic button, then speak your commands. Currently, there isn’t a hands-free trigger command for Alexa (like, “OK Google”), but Mate 9 owners can now benefit from having access to both Google Assistant and Alexa on the same phone. It’s a free update, so there’s not much to complain about. Here’s a few of things you can expect to see with Alexa on the Mate 9. Home Automation: Mate 9 with Amazon Alexa makes it possible to manage your smart home even when you’re on-the-go by controlling lights, thermostats, locks, fans, sprinklers and more. Shopping: Mate 9 with Amazon Alexa makes it easy to get more done using just your voice — Quickly create lists, order items to be sent to your home, get food delivered or have your favorite coffee ready with Amazon voice shopping, Starbucks, Pizza Hut, Dominos, Amazon Prime restaurants, and more. On top of those things, Huawei states we can look forward to better integration as time goes on. This update is only the beginning. If you rock a US Model of the Mate 9, check for that update. 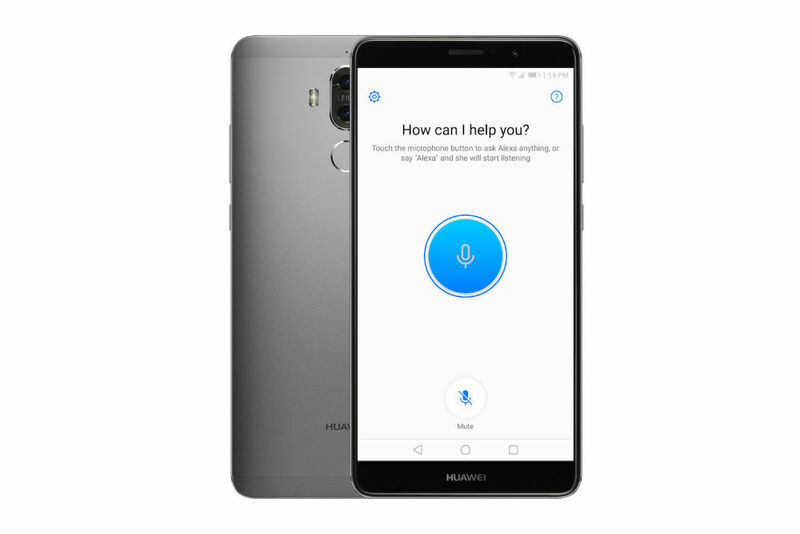 Using the Huawei Alexa app on Mate 9, consumers can bring Amazon Alexa with them, taking advantage of its natural user interface. Since Alexa was designed based on the assumption that users are not looking at a screen, it is a primarily voice-driven experience, ideal for people on the go.